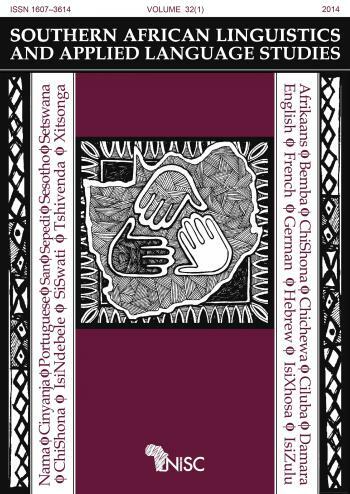 Southern African Linguistics and Applied Language Studies publishes articles on a wide range of linguistic topics and acts as a forum for research into ALL the languages of southern Africa, including English and Afrikaans. Original contributions are welcomed on any of the core areas of linguistics, both theoretical (e.g. syntax, phonology, semantics) and applied (e.g. sociolinguistic topics, language teaching, language policy). Review articles, short research reports and book reviews are also welcomed. Articles in languages other than English are accompanied by an extended English summary. Published in association with the Southern African Linguistics and Applied Language Society. Southern African Linguistics and Applied Language Studies (SALALS) publishes contributions from any of the disciplines in linguistics, both theoretical and applied. SALALS will publish research articles of 5 000–8 000 words and short communications of 2 000 words. Review papers will be considered only if they make an original conceptual or theoretical contribution to the field. Invited book reviews are also published. Editorial policy: Submission of the manuscript implies that the material has not previously been published, nor it is being submitted elsewhere for publication. Contributions are accepted with the understanding that the authors have the authority for publication. 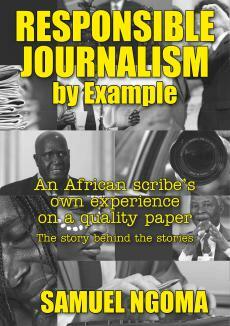 Submission will be taken to imply transfer of copyright of the material to the publishers, NISC (Pty) Ltd. Contributions must conform to the principles outlined in Ethical considerations in research publication available for download below. Papers submitted to SALALS will be viewed by at least two appropriately qualified and experienced referees to ensure that all articles accepted for publication are methodologically and conceptually sound and make an original contribution to the field. The journal adheres strictly to a double blind review process. The decision to accept a manuscript rests with the Editor-in Chief. Queries regarding manuscripts can be addressed to the Editorial Office. Contributions may be in any of the 11 official languages of South Africa. Articles in languages other than English must be accompanied by an abstract in English and an extended English summary (500–1 000 words). However, for authors who prefer to translate their entire article into English, we will make the original African language manuscript also available online, as supplementary information, linked to the published English-language version. Submission: Articles should be submitted via the Southern African Linguistics and Applied Language Studies (SALALS) Journal’s ScholarOne Manuscript website. New users should first create an account. Manuscript should adhere to the format criteria described below, and papers failing to do so will be returned to the authors to be corrected before being reviewed. Electronic copies should be submitted in MS Word format. Title page: The title (max. 20 words) should be concise description of the article content. List the author’s name(s), institutional address(es) and the e-mail address of the designated corresponding author. Abstract: This should include the title of the paper and an abstract. The abstract is a concise statement of the scope of the work, the principal findings, and the conclusions and should not exceed 200 words. Main text: All papers should include Introduction and Conclusion sections, but given the diverse range of papers that might be published in SALALS, we do not prescribe a standard format for the middle section. Format – Manuscripts should be prepared in MSWord. The heading and the texts should be presented in 12-point Arial or Calibri font. The text should use 1.5 line spacing, with no extra line spacing, and should not include text columns, creative formatting or additional fonts. IPA characters should be in the Doulos SIL Unicode font or Charis DIL, which is available for download here. Headings should be formatted in sentence case – primary headings should be presented in bold, secondary headings in bold and italics, and tertiary headings in italics. Avoid footnotes, although endnotes may be used sparingly. Tables and graphs should not be part of the text but be prepared as separate files. Editorial style – Manuscripts written in English should follow the UK spelling. 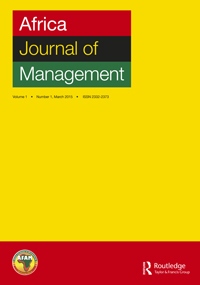 For general style conventions consult a recent issue of the journal – free sample available here. Referencing – Multiple citations in text must be separated by semicolons and cited chronologically in the form (Janks & Makalela 2013; Kadenge, 2012; Marais 2013; Milani, 2014). If previously published work is quoted directly, the citation must include the author, year of publication and page number as in (Nkadimeng 2013, p. 85). If more than two authors are cited in a reference, use only the name of the first author followed by ‘et al.’ For presenting the full reference list of references at the end of the manuscript, please consult our guide Reference Exemplars for Authors available for download below.The reference list should be in alphabetical order by first author, and include all authors of a given reference (do not use ‘et. al’ in the list), likewise use full journal titles. URLs should be given only for references that are not available in print (such as a webpage) or ones that link to hard-to-find sources (e.g. municipal documents) and these URLs must be up-to-date at the time of submission and include an access date. 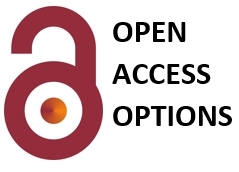 Include published online DOIs only for articles without complete bibliographic details, such as articles published online early and not yet paginated and assigned to a volume or issue. Makoni S, Mashiri P. 2007. Critical historiography: Does language planning in Africa need a construct of language as part of its theoretical apparatus? 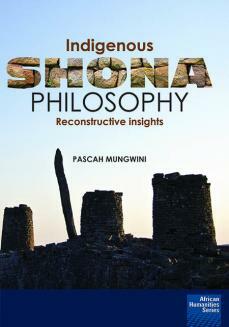 In: Makoni S and Pennycook A (eds. ), Disinventing and reconstituting languages. Clevedon: Multilingual Matters. pp. 362–394. Rampton B. 2006. Language in late modernity. Cambridge: Cambridge University Press. Makalela L. 2013. Translanguaging in Kasi-taal: Rethinking old language boundaries for new language planning. Stellenbosch Papers in Linguistics Plus 42: 111–125. Tables and figures – Tables and figures should contain only information directly relevant to the content of the paper. Each table and figure must include a full, stand-alone caption, and each must be sequentially mentioned in the text. Highly stylised formatting should be avoided. Tables may include thin, horizontal lines but should not include cells with shading. Figures must conform to the journals style. Pay particular attention to line thickness, font and figure proportions, taking into account the journal’s printed page size. Costs of redrawing figures may be charged. Please refer to Figure Guidelines for Authors: format, style and technical considerations available for download below. For digital photographs or scanned images the resolution should be at least 300 dpi for colour or greyscale artwork and a minimum of 600 dpi for black line drawings. These can be saved (in order of preference) in PSD, PDF or JPEG format. Graphs, charts or maps can be saved in AI, PDF or EPS format. MS Office files (Word, Powerpoint, Excel) are also acceptable but DO NOT EMBED Excel graphs or Powerpoint slides in a MS Word document. More detailed technical information is given in Figure Guidelines for Authors. Page charges: A page charge of ZAR175 per page (for African contributors – excl. VAT, where applicable) or USD30 (for other contributors) is levied by NISC. Authors who do not receive subsidies from their institutions may apply to the Editor to have the page charges waived. 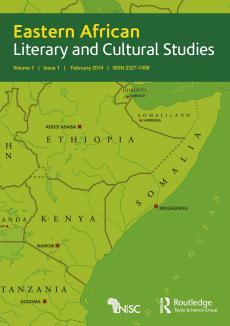 Open access: Southern African Linguistics and Applied Language Studies is a hybrid journal which allows authors the option of publishing their article Open Access for a set fee. Further details are given on the Open Access at NISC page. Special Issues: Proposals for special issues should be sent to the Editor-in-Chief. Enter your details below to subscribe to Southern African Linguistics and Applied Language Studies. Have a question about Southern African Linguistics and Applied Language Studies? Call us on +27(0)46 622 9698 or submit an enquiry using the form.